OSWEGO, NY (May 29, 2018) – Following an exciting ‘May Meltdown’ at the Evans Mills Speedway May 12 along with a full field of cars for the Tony White Memorial 35 at Oswego Speedway this past weekend, the Small Block Supers have two more shows at their hometrack June 9 and 16 before heading on tour once again with the Lighthouse Lanes SBS Series on Friday, June 29 at the Spencer Speedway. The ‘Friday Night Lights’ 30-lap special at Spencer will set up a double header weekend for the Small Block Supers with the 35-lap Independence Weekend ‘Grand Prix’ set to take place at Oswego the following day. June 29 will mark the eleventh appearance for the Small Block Supermodifieds at the Spencer Speedway and the first in just about a decade. There have been ten total Small Block Super events in the Wayne County oval’s rich history with ten different winners including JJ Andrews, Steve Austin, Russ Bartlett, Bobby Bond, Russ Brown, Dave Gruel, John Ketcham Jr, Lou LeVea Sr, Daryl Nichols, and Matt Wheeler. None of those drivers will be back in attendance June 29 unless Brown makes another surprise appearance with the series, so the action set to take place a month from today is sure to provide a brand new feature winner at the Spencer Speedway and perhaps on the Lighthouse Lanes SBS Series tour. Another solid field of drivers is expected to try and join Dave Cliff and Anthony Losurdo as series winners including Chris Proud and Jack Patrick, who hope to return to the series next month, as well as James Babcock, Mike Bruce, Cameron Black, Barry Kingsley, Brad Haynes, Greg O’Connor, and more. Pit gates will open at 4:00pm, practice will begin at 6:00pm, and racing will get the green flag at 7:15pm for the June 29 event. Spencer Speedway is located at 3020 Route 104 in Williamson, just a short drive from the City of Oswego. More information is available at SpencerSpeedway.org or by visiting LighthouseLanesSBSSeries.com. You can also FOLLOW on Twitter @LHLSBSupers or LIKE on Facebook at Facebook.com/LighthouseLanesSBS. 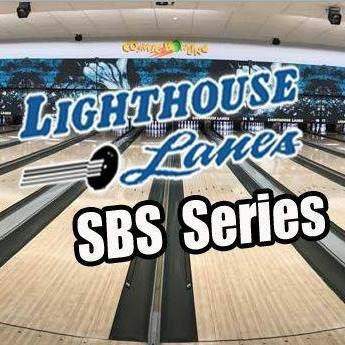 About the Lighthouse Lanes SBS Series: The Lighthouse Lanes SBS Series is a northeast Small Block Supermodified touring club showcasing the stars and cars of Oswego Speedway’s Pathfinder Bank SBS division. Formed in the spring of 2017 by drivers Mike Bruce and Camden Proud in conjunction with Bob Hoefer at Lighthouse Lanes in Oswego, NY, the series is set to be a three race venture in 2018 and is made possible by the support of Lighthouse Lanes, Cam’s NY Pizzeria, as well as the dedicated team owners, drivers, and fans of Small Block Supermodified racing.